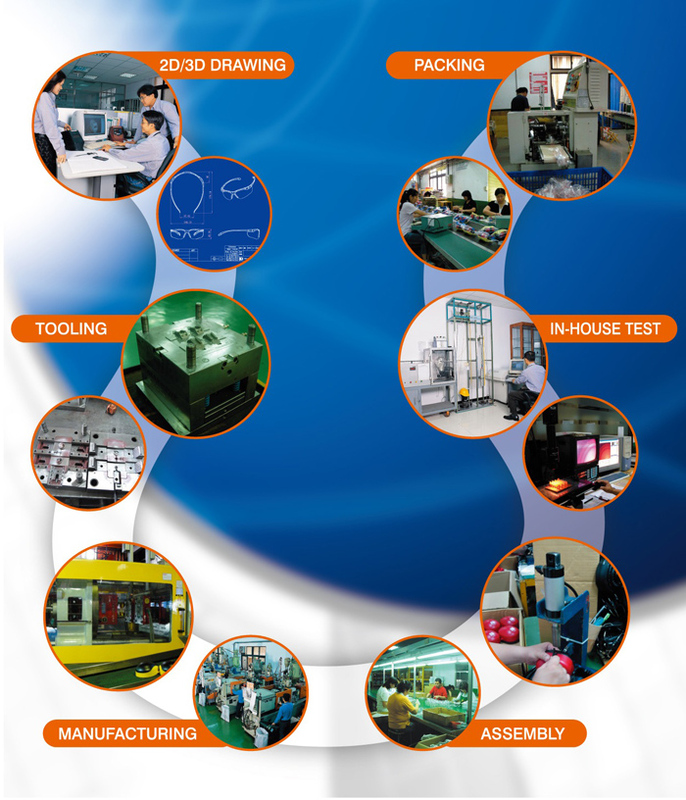 For the OEM business grows rapidly these years, with more than 30 years rich experiences, technology, and resources of production of standard products, we emphasize on OEM services to fulfill customer’s requirements. •We were assessed by SGS Yarsley Ic Ltd. UK and obtained an ISO 9002 certificate from UKAS in 1996. Furthermore, we successfully renewed our certificate in accordance with 2000 ISO 9001 version in 2002, which means Pan Taiwan is definitely a company in whom you can trust and co-operate. •Our sales and technician teams have been dedicated to provide our customers with innovative products in high quality. Many of our products meet European CE and U.S. ANSI/NIOSH Standards. We are developing more and more qualified products and will always continue to assist our customers to do so. •We have the best team to serve our customers with devotion and intelligence and always get prepared for your requirements. In the past few years, we have established production and two branches in Mainland China, one branch in central Taiwan in order to integrate the manufacturing sources. •We offer you one-stop shopping of customized safety requirements with in-house production capacity and outsourcing organizations, this would allow you to select and carry out the most cost-effective process and alternative materials for your design. Simply to say, we save your money and bring your product value added!! •Our quality assurance system has been well established, which consists of the following elements so the project will be monitored, recorded, improved and recommended by our engineers during the OEM process. •We provide total solution of your safety requirements. We have in-house tooling facility and ability to make prompt modification to reflect your design change. With integrated management of procurement through the vast manufacturing network in Taiwan and China, we could help to reduce time and associated cost with managing sub-suppliers and manufacturers. We fulfill every of your significant products with dedicated team work & outstanding project management.